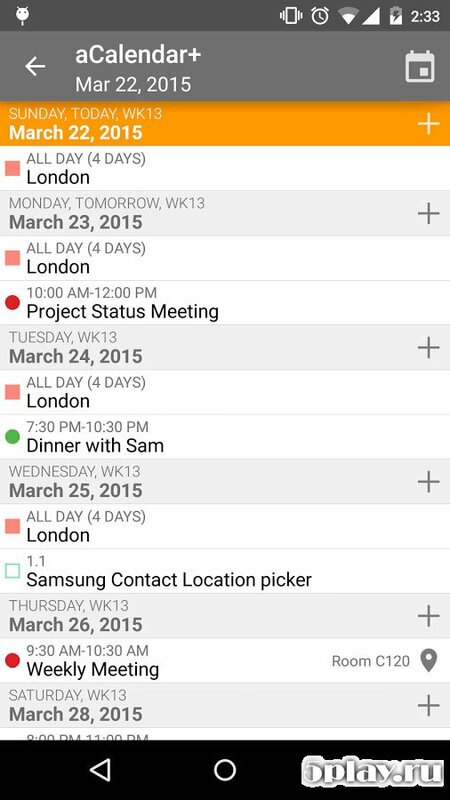 aCalendar+ – is a convenient calendar created for devices based on Android. 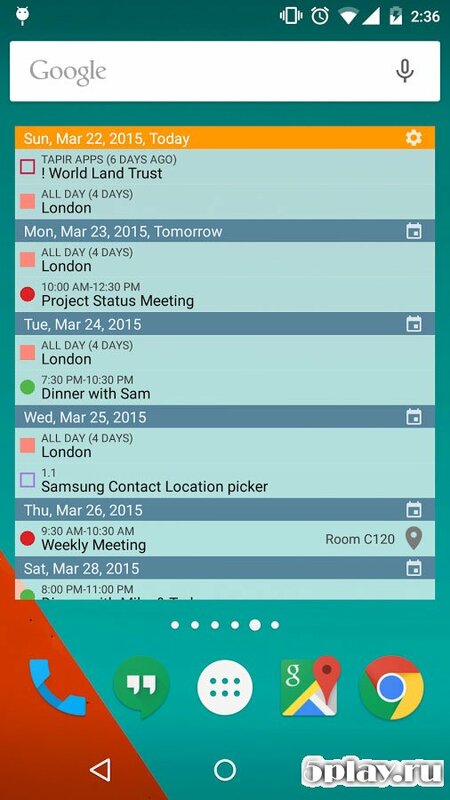 With it you can schedule in advance all work or meetings. The main thing – at the appointed hour, you will receive a reminder. For display there are two options. Here every user can choose the one that is most preferred. The first version is marked tiles. And they have given the main tasks. The second option is a detailed description of each day separately. He is good in the case when on the day scheduled too much to do. They are distributed on the clock and painted in different colors for better perception. 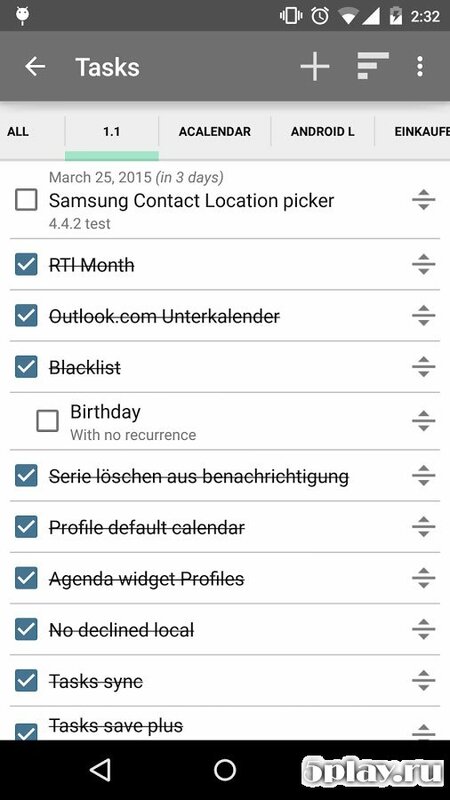 Excellent what is added to the application event is automatically duplicated in the standard device calendar. It is a kind of safety net: if aCalendar will fail, not one important meeting not to be missed. 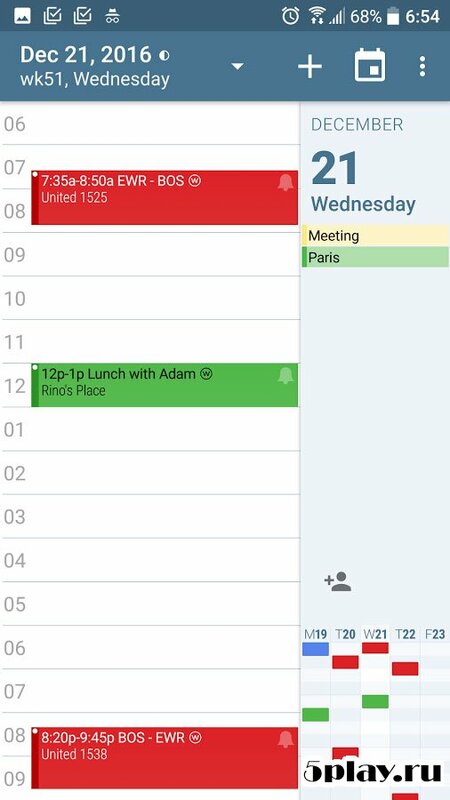 Plan your day and remember about important events with the calendar.